After attending Divan Film and Food Festival, The Cine Caravan traveled for a short event in Belgrade, Belgrade Film(e)scape, organized by the Faculty of Dramatic Arts (prof. Nevena Dakovic and prof. Aleksandra Milovanovic) and Film Center Serbia. 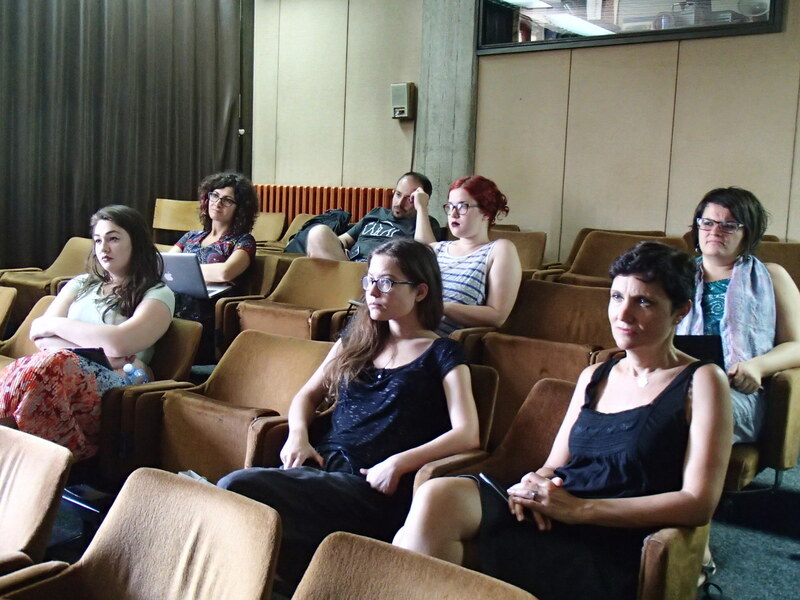 The program of the event was a nice blend of learning about film and exploring the Serbian capital. On the first day, we had a meeting with Milutin Petrovic, acclaimed director and an interesting figure considered by many to be a film maverick. During the first day, we had a meeting with Milutin Petrovic, acclaimed director and an interesting figure considered by many to be a film maverick. Petrovic has opened up many questions, from the ones regarding film criticism to those regarding filmmaking, its present and future, and his own position in it. Namely, he often shoots films on his own, without any money awarded by the Government. He is famous for his debut movie (The Land of Truth, Love and Freedom, 2000) which contained a statement that the film wasn’t financed by any ministry or other governmental institution. Speaking of the difficulties for filmmakers in the Balkans to obtain means for their movies, he was actually talking about how not to give up the passion for making movies. Trying to be practical and taking into account that he is teaching to future film critics, Petrovic has reflected on the film criticism as well. His words regarding criticism were the words of advice, giving out his vision of what a young critic should pay attention to. He insisted that it is inevitable for a critic to pay attention to the film technology. In order to understand the film and review it at the highest level, a critic, as Petrovic claims, has to understand the mechanisms behind the filmmaking. 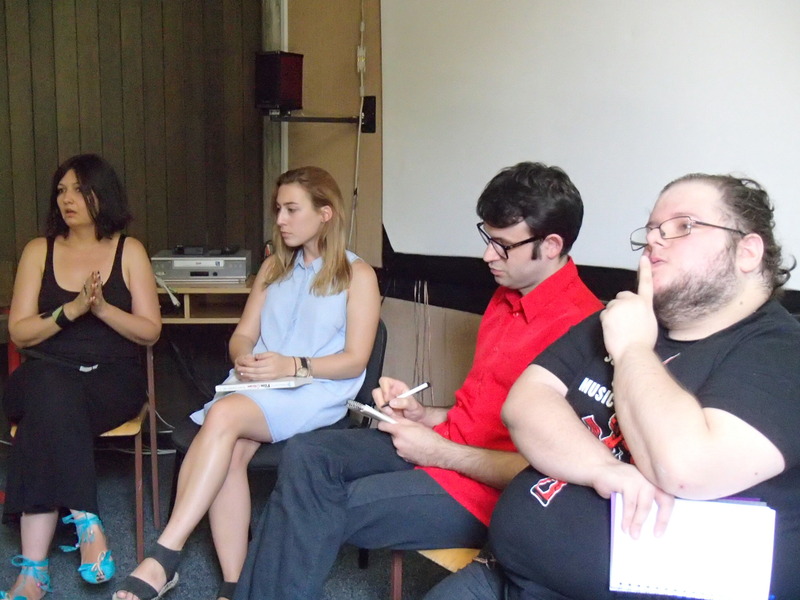 Our next event was a round table on film criticism in Serbia, again at the Faculty of Dramatic Arts. 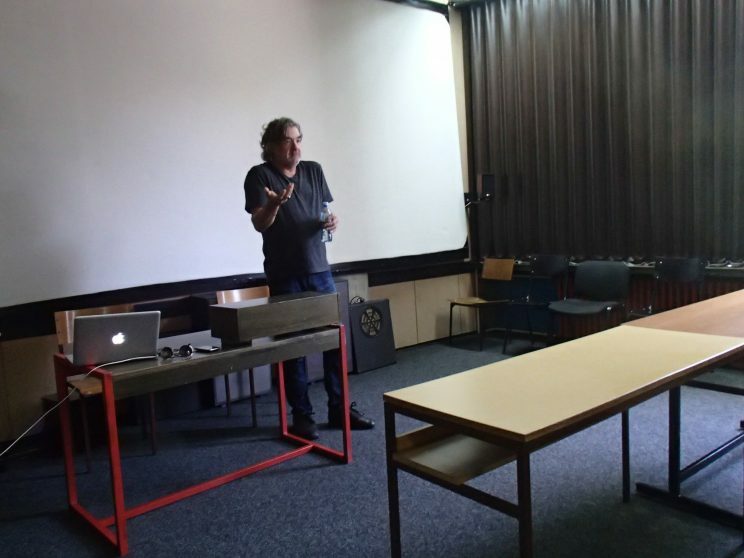 The event featured three prominent Serbian critics – Ivan Velisavljevic, Dimitrije Vojnov and Vesna Peric and it was moderated by a student Masa Senicic. Ivan Velisavljevic was kind to give me an interview earlier when I have met him, and it was published here. The discussion was open and spontaneous, going from the critics’ personal views of criticism, what it is and what it is supposed to be, to their own efforts to improve the criticism scene in their environment. As the Serbian cinema goes through prominent changes at the moment, offering more and more good movies, some of them even going far beyond the domestic film tradition, it was inevitable for us to discuss such topics as well. For this event, we were also joined by other students and locals involved with film. Our film exploration was continued at the Yugoslav cinematheque, in its new building, where we had a closed screening of Humidity (d. Nikola Ljuca, 2016), one of the best Serbian films in 2016. This film arrived as a great refreshment, bringing its own aesthetics, story milieu and filmmaking approach. Seeing this film was a great opportunity for a further discussion on what is actually changing in Serbian cinema as well as in the cinema of Balkans. I was watching it for the second time, but there were still many things I had to process, considering the film’s complexness. After the screening, Nikola Ljuca joined us for a Q&A session, sharing some backstage stories with us. 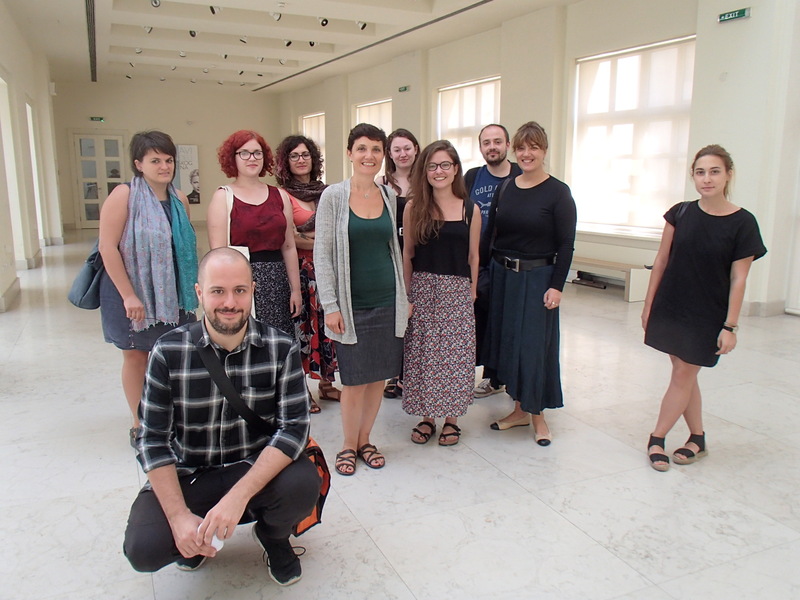 Finally, after two days of intensive learning about the Serbian cinema culture, we have spent an afternoon exploring the city and its historical trademarks. We have visited Kalemegdan fortress for a guided tour, which has included seeing the fortress inside and outside, its hidden corners and underground facilities. 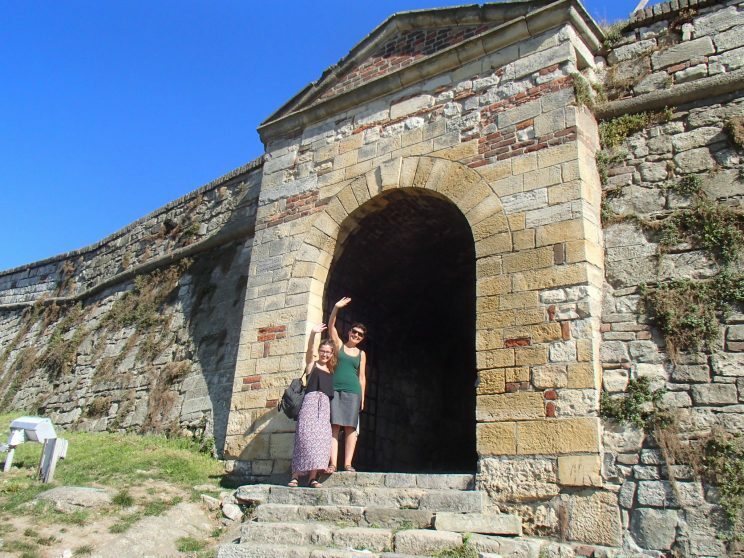 The tour ended in all Balkan style, in a dark cave-alike underground tavern with a good refreshment. Although coming to Belgrade was supposed to mean coming back home for me, it still felt like I was somewhere else with the Cine Caravan. This bonus event was a nice way to see something so familiar, such as my own faculty, in a different light. Young cinephiles and people who are there to teach them is not a new situation but when we consider how each of us came from a different country, the event immediately gets a more festive note.